Services that focus on assisting companies to support and retain their employees through good times and bad. EAP’s can assist employees through emotional upset, financial difficulties, or with problems caused by alcohol or other drug abuse. Addressing substance abuse in Massena and the surrounding area to create a drug free and violence free environment in which youth can thrive. 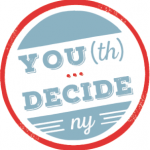 YOU(th) Decide NY was developed to empower teenaged youth to learn about the dangers of underage gambling and to share that knowledge with their peers, parents and communities. Encompassing the Northern Economic Zone, the RARC helps identify local prevention resources, local treatment opportunities, recovery services and other supports. The RARC can also coordinate events based on community requests. Designed specifically for youth, 12-19, who are experiencing mild to moderate problems associated with alcohol or other drug use. Helps youth identify the reasons they have chosen to use drugs and examine the effects in their lives. The Incredible Years Program is a parenting education program that is delivered in twelve weekly sessions. Parents come together to gain new or enhanced information about parenting skills. The long term goal of the program is to reduce violence, drug abuse and delinquency in later years. Too Good for Drugs and Too Good for Violence provides the support and education to develop skills students need to make good decisions when facing the increasing challenges of stress, peer pressure and temptation, and traits needed to treat others respectfully and get along peacefully. Horizons offers support for young people who are struggling with or at risk for substance use disorders. Serving adolescents, the Horizons clubhouse promotes prevention, long-term health, and recovery. The family support navigator helps families and individuals increase their understanding of the progression of addiction, offers guidance on how to navigate insurance issues and provides information on how to access treatment services. The peer support services program works with hospitals and other community agencies to extend the expertise of people in recovery or who have a personal family experience with recovery, to others who are seeking support, encouragement and guidance in finding appropriate services. Reality Check is a teen led, adult supported program working across New York State. It aims to expose the manipulative and deceptive marketing tactics of the tobacco industry. The Advancing Tobacco Free Communities grant aims to reduce the impact of tobacco by reducing the impact of retail tobacco marketing on youth, establish a tobacco-free community norm through tobacco-free outdoor air and housing policies.